At SET Financial we take the stress out of applying for a loan. We’ve helped thousands of people just like you take care of their financial needs. With our SET payments, SET terms and SET rates, you can be assured that your loan is exactly what you need…OR…if you’re not completely satisfied, we’ll let you return your loan free of charge within the first 15 days of signing your contract. – That’s our guarantee to you. Ready to get started? Apply for a personal loan now! If you prefer service in person, visit our office in Fort Mill. Provide proof of income so that we can help you budget an affordable monthly payment. Verify your identity through our online process or by phone. Possess a current, active checking account with a banking institution. We don’t approve just anyone…all of our loan offers are subject to credit approval and customer acceptance. 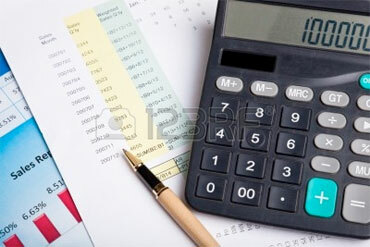 Before you apply for a loan you should review your monthly budget. If you intend to use the funds for a purchase, make sure the purchase is for something you truly need and is worth the asking price and the financial commitment. Set Financial wants your business but not at the cost of your financial well-being. An installment loan with SET Payments, SET Terms and a SET Rate. No surprises – we fully disclose and explain all the details of our loan offers. An actual person, directly employed by SET Financial, based in America, to help you. 24/7 online access to manage your account. Once you are approved, you can accept your loan offer by logging into your SET Financial account. Loan proceeds will be deposited into your checking account within 12 to 24 banking hours. After your account is activated you can update your personal contact and banking information, manage your account alerts, chat with a customer service representative, send and receive documents, and even make a payment online or re-apply. SET Financial has helped thousands of borrowers who know the importance of working with a responsible lender who takes necessary steps to protect your personal information. We use 128-bit encryption and multi-layer authentication. Plus, we never share your information with third parties.